Determining a marketing budget can be frustrating. How do you know if you’re investing enough or if you’re applying your marketing dollars efficiently? While many marketers hope for a standard formula to determine the effective dollar amount to spend on a platform, the answer isn’t that simple. The dollar amount used will vary based on many factors, and there’s key information you can determine that will assist in your strategy. The first, and many times most crucial, step in a digital campaign is establishing a clear and numerical goal. Do you want to build brand awareness? If so, how many impressions are needed for one user to recognize your business and name? Do you want the campaign to collect leads? If so, how many leads are needed to bring a profit to your business? Before you set your marketing budget, you need to determine your marketing goals. Otherwise, you won’t know what that budget is expected to cover. Once a clear and measurable goal is determined, it’s time to review and analyze past efforts. Which campaigns showed comparable results to your goal? What worked and what didn’t? How much money did you spend, and how much profit was brought in? Historical data, when used correctly, can be your campaign’s biggest asset. Next, you’ll want to conduct thorough research to understand which platforms should be utilized, and the trends found within your industry and target audience. Is your audience on Snapchat or Facebook? What keywords do they search for on Google to find your offering? These are just a few examples of questions research can answer to guide your spend. Be sure to review the channels your competitors are investing in, themes in applicable keywords and search volume, and estimated campaign costs. Last, but certainly not least, is understanding what you can spend. It’s important to note that each platform and type of campaign have associated benchmarks — impressions, click-through rates, and conversions. Knowing the benchmarks will help you understand how far your dollars will go toward results. What you can afford is unique to your brand. The maximum dollar amount available will define which platforms are an option. If there’s an indefinite dollar amount available, it’s still important to set a spend goal to determine the campaign’s ROI. Once you’ve set goals, analyzed previous campaigns, conducted platform research, and established a maximum spend, you’ll be able to start crunching your numbers. The first three steps will determine how much of the maximum budget in step four is needed and where it should be allocated. 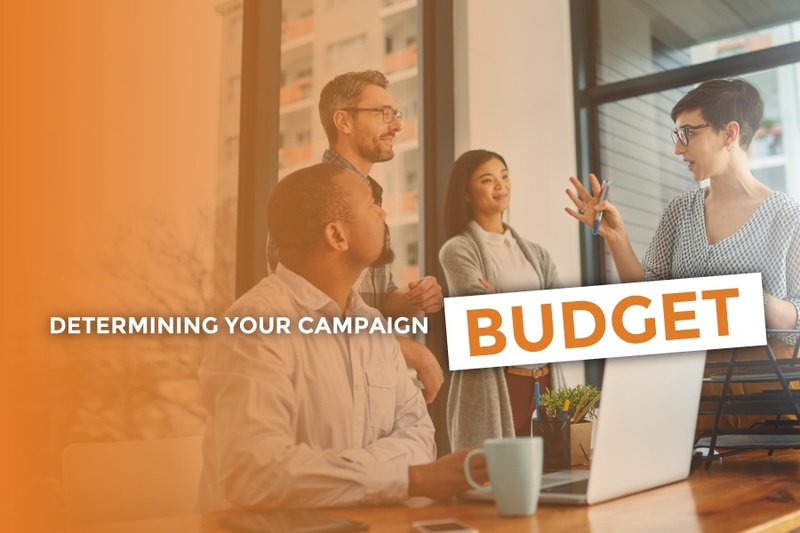 It’s unlikely that your campaigns will be profitable from the moment you launch them, so set aside a budget that will help you start testing the waters and collecting data. The information obtained to determine your budget should be driving factors throughout the lifetime of your campaign. Each step is equally valuable to the next and will give your business a successful foundation to your marketing budget.